Let’s face it. Financing a home can be overwhelming, even for the most seasoned homeowner. The success of your transaction has little to do with the company you contact, and everything to do with the loan officer you are entrusting to handle the largest financial transaction of your life. 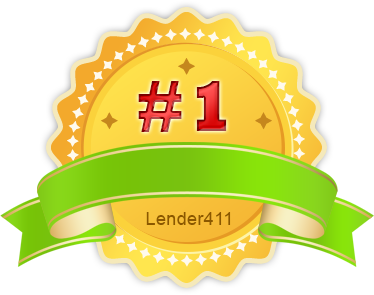 With 20 plus years experience, thousands of closed loans, and a 98% post closing satisfaction rating. This is what you are looking for, this is what you deserve! Joe is an Certified MMS (Minnesota Mortgage Specialist). Currently less than 1% of Loan Officer’s in Minnesota have completed the requirements to earn their MMS designation! This designation is given by the Minnesota Mortgage Association to mortgage professionals who choose to distinguish themselves as experienced, well-educated, ethical operators by successfully completing educational and professional requirements set forth by MMA. Joe is a lifelong resident of the Twin Cities area, and a 1998 Graduate of the Residential Mortgage Lending School. With dozens of competing lenders and mortgage programs to choose from in an industry that depends on quality and service, Joe can’t afford to make mistakes and still continue to be strong and effective. His single most distinguishing feature is the consistent level of professionalism and thorough service given to his clients, builders, real estate agents, and investors. Once you meet Joe, it’s easy to see why he is a successful loan officer. His track record is exceptional by any standard. Personally, Joe is just as impressive: confident, organized, friendly and helpful. He exudes a professional and personal style that is hard to resist. Who is handling YOUR largest financial transaction. Did you know that 80% of all Loan Officers are NOT licensed? Learn how to verify you are working with a licensed Loan Officer by reading this blog post. Having helped Realtors and Builders successfully close many transactions, knowledgeable and dedicated, Joe believes in doing the job right the first time. He has an answer for even the most complicated situation. He firmly believes in people, community, and home ownership. Joe and his team are committed to providing outstanding service… Service you can depend on! Whether you are buying your first home or your dream home, refinancing, or a debt consolidations loan, Joe has seen your situation before, and HE CAN HELP!